Welcome to The Pakistan Top Lawyer Association.Where you get Solution for Everything. Our Family case lawyers in Pakistan makes procedure of divorce in Pakistan and court marriage procedure in Pakistan very easy. 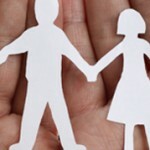 Our divorce case experts in Lahore Pakistan provides expert professional divorce service in Lahore. Nazia Law Associates is the best place to find a Family lawyer in Pakistan as we make the procedure of dissolution of marriage easy for our clients. We are the best in our services and we make divorce in Pakistan easy for clients as per law and as per divorce in Islam. Read More..
Our Family Advocates in Lahore Pakistan have expert family advocates in Lahore Pakistan and they deal with all kinds of family issue like Maintenance of wife and children , Guardian and succession certificate and custody of children in Lahore Pakistan. Nazia Law Associates is the best place to find a Divorce Lawyer in Pakistan.Read More..
Our civil case lawyers are very good in all kinds of civil cases and we are expert in recovery of property , Money , Land , Rent , profits and all the disputes of civil nature whether in court of a civil judge or sessions court or in the supreme court of Pakistan. 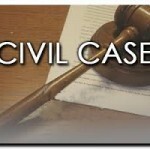 Our law firm is the best place to find a Civil lawyer in Pakistan. 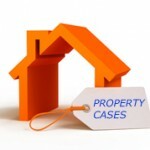 Read More..
Our property case lawyers in Pakistan deals in all kinds of disputes regarding property whether moveable or immoveable, Tangible or intangible. We are also expert in all kinds of sale and purchase of properties and registration of property in Lahore Pakistan. Nazia Law Associates is the best place to find a property lawyer in Pakistan. Read More..
We got expert corporate lawyers in Lahore Pakistan dealing in all kinds of corporate issues. We can get your call center , firm or company registration in Lahore on priority basis. We are also expert in copy rights , trade mark , NTN , Patent and Design issues. 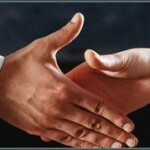 We make the procedure of company registration in Pakistan very easy. Nazia law associates is the best place to find a corporate lawyer in Pakistan as we know corporate laws and corporate social responsibility of our clients.Read More..